Start a new Django project?. After installation of Django, we can create a new project. commands to start a new Django project. Open the command prompt, then enter your projects directory. Then we use django-admin tool. Note: If you list the files in the new directory, you’ll see manage.py and the skeleton project. Start the developent web server. Open that address in your webbrowser. 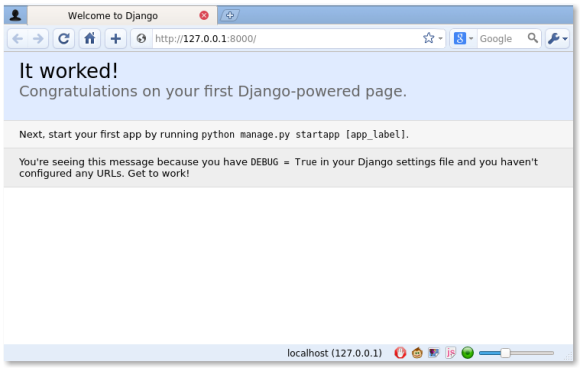 If you see this screen, you have now successfully created a new Django project.